Alan Dunch, Chairman of the Bermuda Casino Gaming Commission today [Aug 31] announced the appointment of Richard Schuetz as Executive Director of the Bermuda Gaming Commission. “Mr. Schuetz is stepping down as a commissioner for the California Gambling Control Commission on August 31 to accept this post in Bermuda, and is set to begin work on September 1,” the announcement said. Mr. Schuetz has worked as a senior executive in the gaming markets of Las Vegas, Atlantic City, Reno/Tahoe, Laughlin, Minnesota, Mississippi, and Louisiana. “He has served on the boards of Shuffle Master Gaming, the Stratosphere Hotel and Casino [where he was also President & CEO], and Casino Publishing. “He sat on the International Advisory Board for the Institute for the Study of Gambling Commercial Gaming at the University of Nevada, Reno, and was the Co-moderator of the Institute’s Executive Development Program. “He was named an Honorary Professor of Casino Marketing at the Baron N. Hilton School of Hotel Administration at the University of Houston; was the marketing columnist for Casino Executive Magazine; and has taught Casino Management & Regulation at the Ecole Hoteliere Lausanne in Switzerland, and at the University of Macau and Macau Polytechnic Institute in Macau, SAR China. “Richard was the consultant to the City of Detroit as that city introduced casino gaming, and served in a like position for the state of Kansas as that state introduced casinos. He has lectured throughout the world on the topics of gaming, gaming regulation, and casino marketing. “Mr. 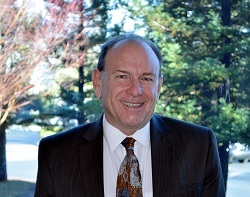 Schuetz received his degree in Business from the University of Nevada, Reno, and holds a Masters in Philosophy specializing in economic analysis from the University of Utah. Commission Chairman Dunch, in acknowledging this appointment stated: “All of us at the Commission are thrilled to have Richard join us in helping to introduce casinos to Bermuda. “His extensive experience as both a casino operator and as a regulator make him ideally suited to ensure that the Bermuda casino experience operates with a high degree of integrity, and offers an additional world-class tourism amenity for Bermuda. “The Bermuda Casino Gaming Commission is comprised of Chairman Dunch, Deputy Chairman Garry Madeiros, and members Ms. Judith Hall-Bean, Mr. Dennis Tucker, and Mr. Derek Ramm,” the announcement said. Queue the ‘Why wasn’t this post given to a Bermudian’ comments despite the vast amount of experience and knowledge required from a person responsible for competitive industry growth. much like mr hansbury, been here 2 years and each year our tourist arrivals have gone down. all the experience there but no common sense. You should have applied and put your common sense to use for our benefit. i would have applied but seeing that i’m bermudian and that counts me out. you the way the OBA has things set up only foreigners get top jobs. Never mind. I see the common sense is missing. I’m sorry, but I doubt any Bermudian living on the island all their life has any experience operated from the ground up. Keep in mind, I said “living on the island all their life”. Is BTA now managing the Gaming Commission? I think not, but lets blame them anyway. We also should blame ourselves, Government and the Opposition for a lost generation of Bermuda talent in the tourism industry. No Bermudians were trained or mentored to fill these roles so this is what we get. Yes indeed. Here we go. oh yeah—get ready–its winding up–get ready for the vitriolic belch!!! All the axperts will weigh in now with their infinite wisdom!! This oughta be a good one. Sorry about what is going to happen to you Mr. Scheutz–we in Bemruda are really generally nice people!!! UM, I mean if we had them –we don’t need no foreinger to tell us how to do it…. Lots of information about Mr.Schuetz. He has quite an impressive resume. What I would like to know now is at what price does he come? Exactly how much are we on the hook for this time? Theres always a price. A 10 second google search brings up exactly why he left California. Does nobody in recruitment in Bermuda use google? First it was the education commissioner embroiled in controversy…and we saw how that ended…now its the gaming director…oh what tangled webs we weave. Probably a % of gross. 1 % would be nice. What is our unique talent that other gaming jurisdictions do not have? Care to elaborate anyone? Well I think we have one qualified person. Mr burt the opposition finance minister. Alright don’t get your knickers knotted just joking..
Revenue from tourism gaming is on a decline globally.. Ultimately, unless Bermuda steps up the quality of its core tourism product, all the casinos in the world will not help our tourism. Do you really think the people in Government, at the BTA, at the Gaming Commission do not know what you have read via Google in 2 minutes of research?? C’mon…you give yourself WAY too much credit. The government is NOT trying to create a destination based on gaming like Vegas. The idea is that controlled allocation of gaming licenses may help the financial models for hotel development and get a few hotel resorts off the ground. You have made the only useful comment so far. Hopefully someone out there will have benefited from your comment. and how much of Tax Payers money is this guy going to get? And how much money will he, in the long term, make for our tax base. Greta news . Now get on with it all ready before we all go broke with long winded promises.! That money tree is bearing lots of fruit ! Here is one senior who’ll be feeding well ! Gaming or no gaming, it all doesn’t matter,the US economy is going to crash in September. Clearly this gentleman has lots of experience so clearly we will have to pay for it but why would we need this level of experience for what we will have on offer? At best we will have a small fraction of the issues and complexity of a large US city so why do we need such a high powered individual? Can we really afford him? How large does the government realistically expect gaming to grow given our tiny size?